Our mission at TMS is to help Grow Happiness. Why? 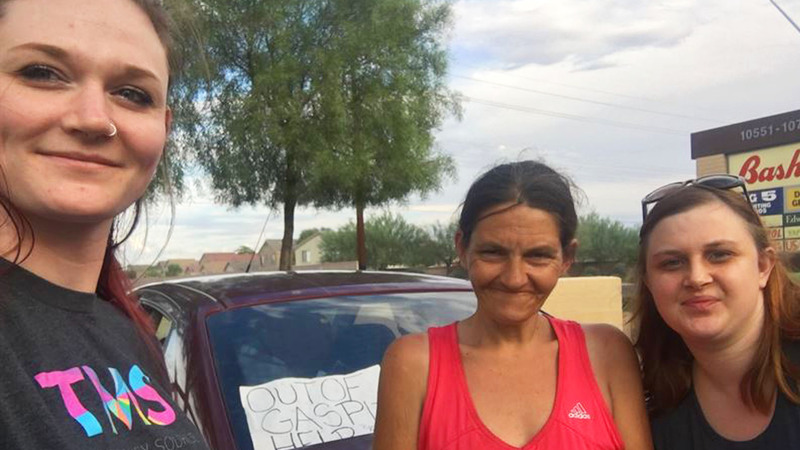 It started with simply wanting to help grow happiness for our borrowers by getting them into their happy homes. But over the last 20 years, it’s grown into a mantra for every one of us who works at TMS. We believe that by helping grow happiness in others, we help grow happiness in ourselves. So, in celebration of our 20th Anniversary in January 2018, we assembled our Happiness Crew – all 700+ TMS team members – gave each of them a $20 gift card, and asked them to hit the streets and carry out Random Acts of Kindness. This initiative was such a success, we’ve continued to give gift cards to each of our new team members when they start! Our TMS team members did everything from buying gas to making charitable donations and helped Grow Happiness. 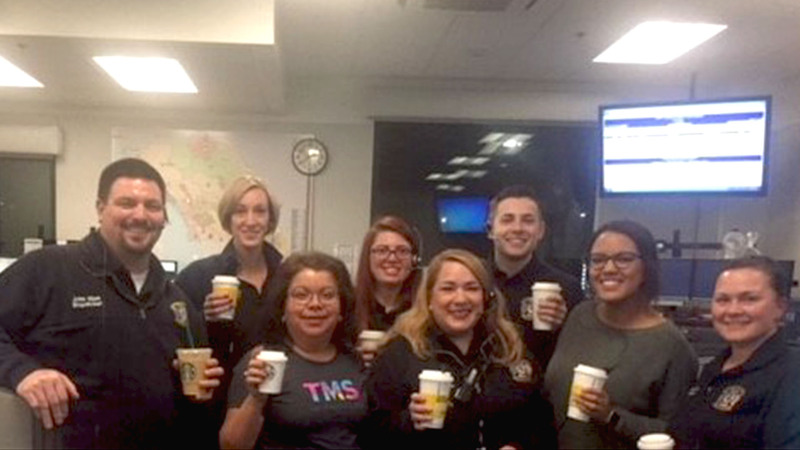 TMS VP of Regulatory Compliance Barbara Flores purchased coffee for Fire/Medical dispatchers who helped during the Tubbs Fire in Santa Rosa. At least 22 lives and nearly 5,000 homes were lost, and this dedicated crew was there through it all. TMS Marketing Assistant Ella Waechter also went the “coffee route” and paid for 5 customers at Starbucks. “People kept asking why I wanted to buy their coffee for them. They were like ‘Why would you do that? You never see that anymore.’ Society doesn’t feel like people do nice things anymore. It’s a reminder of how you should live your life. You don’t have to do things that cost money, but just doing nice things for people.” Ella mentioned that when she was at Starbucks, someone held the door open for her, and she in turn bought his coffee. Kindness is contagious! 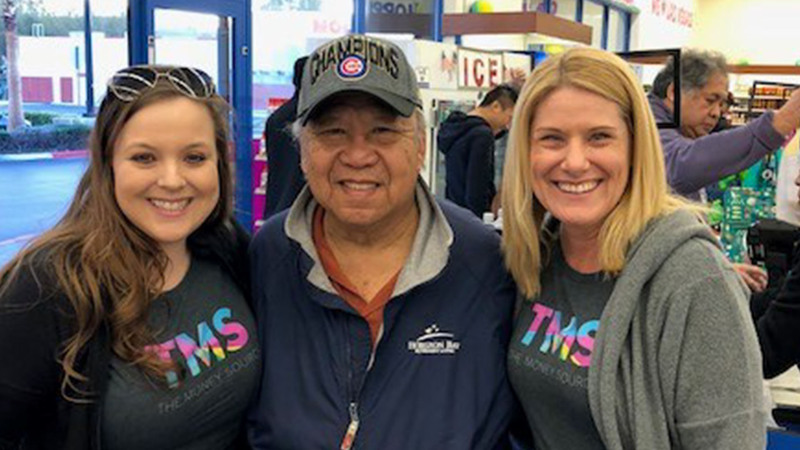 TMS Account Manager Katrina Castillo and FHA/Conventional Underwriter Julie Munoz pooled their money to help purchase groceries for several customers. “Random” doesn’t necessarily have to mean doing something nice for a stranger, either. 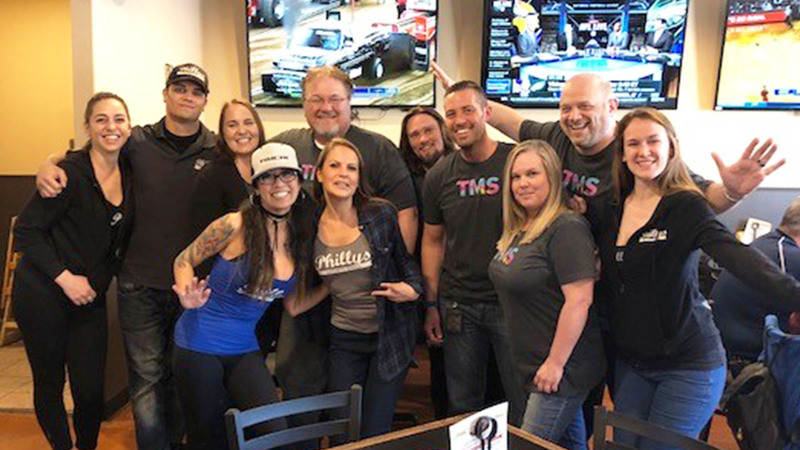 Our TMS Manager of Licensing and Exam Management Andrew Hall donated the $20 TMS gift card to his 35-year-old cousin who is fighting breast cancer. You may know of someone who is struggling, or just want to brighten a loved one’s day. Remember, acts don’t need to cost money and they don’t need to involve grand gestures. Think of all the things that might make your day better and go from there!